“Hungary has two paths that it can choose from: whether it will have a national government, in which case Hungary will not become an immigrant country, or whether George Soros’ people will form the government, in which case Hungary will become an immigrant country. I don’t want to talk about this at length because I don’t have to talk about this much in Miskolc, where people know what immigration is. There was a time in Miskolc when masses came into the city from outside the city. They witnessed what happened. The people of Miskolc experienced what happened then. And the people who came to Miskolc came from inside the territory of Hungary. Now just imagine when a people with a completely different culture, habits and a view of life come here from outside our borders. And the people of Miskolc should know that migrants always go to the big cities — that’s where the ghettos will be established, the no-go zones, parallel societies. That is where the difficulties of coexistence and the deterioration of public safety will occur. It has been well documented by Hungarian and international organizations that the local government of Miskolc has long engaged in the practice of discriminating against Miskolc’s Roma community. Similarly, Roma children in rural Hungary are also subject to segregation in schools. Such practices are more acute in northeastern Hungary, where Miskolc is located, one of the European Union’s most impoverished regions. At a press conference Friday, Fidesz parliamentary group leader Gergely Gulyás confirmed that the prime minister was referring to Miskolc’s Roma community. 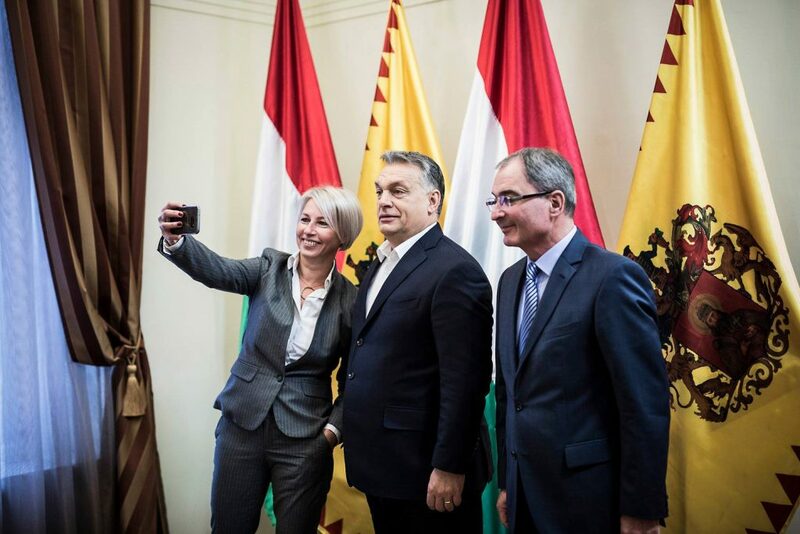 Gulyás went on to tie the prime minister with a special program that was launched in the mid-2000s to help underprivileged families gain access to housing in large cities. Gulyás said this problem caused a crisis of coexistence. “Putting the campaign aside, I think this is an issue that ought to be discussed. Those resources that are available for integration and improving [upward social mobility] are what we would like to use to pay for Hungarian society’s current problems. Among the most pressing of these problems is the situation concerning Hungary’s gypsies,” Gulyás said.